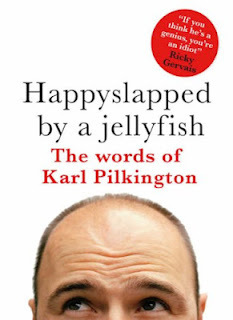 Nick Hornby and Karl Pilkington are two very different writers. One's a zeitgeist-capturing novelist; the other is a hapless whipping boy for Ricky Gervais and Stephen Merchant. Both, however, are very funny Brits, and the authors of the last two books I read. And that, my friends, is enough of an excuse for me to cover them in a single review. Nick Hornby is my comfort food author. I mean that in a good way. His novels are immediately accessible and imminently readable, and yet, they contain rather profound insights about human behaviour and motivation. How to Be Good deals with the unraveling marriage of Katie (a physician) and David (a writer who pens a column, The Angriest Man in Holloway). When the spiritual healer DJ GoodNews enters their lives, David loses his anger and tries to make amends for past wrongs that he and the world have committed. The results are troublesome. And hilarious. I had an odd experience while reading this book, a feeling that I had read parts of it previously. It was rather discombobulating, and I thought that perhaps I was becoming physic, until I realized that I had likely read a preview somewhere. It did not affect my enjoyment of the novel. 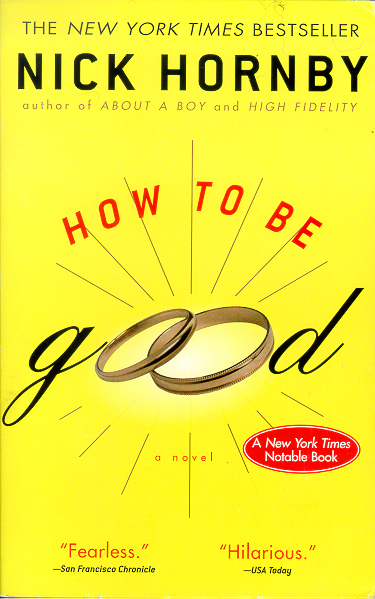 Hornby is well-known for his ability to capture the psyche of the modern male, so it was interesting to see him use a female protagonist in this How to Be Good. He does an credible job of speaking from the female voice as well. Poor Karl. Things never quite seem to work out for him, whether he is going round to his mam and dad's for bank holiday, or being dragged on vacation by his girlfriend Suzanne. He knows no good can come of these endeavours, and he is right. Karl may be the most reluctant and pessimistic of travellers, but his pessimism is surprisingly insightful. Happyslapped by a Jellyfish is touted as a travel book for people who don't particularly like traveling. Karl Pilkington is the patron saint of that demographic. This is a very short book - 200 pages of large font, interspersed with cartoons, diary entries, poems and photographs from Karl's ill-fated vacations. Over far too soon, this book was. I love Karl! I will have to look for this book for my flight home. Thanks for the recommend! It would be a most ironic travel book, Al. If you are anything like me, though, you will embarrass yourself while reading it in public by snorting out loud. I have read sevearal short novels lately by British writers. They are packed! It's a British invasion of words, Vicomtesse! I love Hornby as well. He has that rare ability to make you giggle at one moment, and the next moment have you ponder the human condition in a very real and meaningful way. I like the way he often brings together seemingly incompatible groups of people who in their own strange way find a sense of community and belonging, despite their overwhelming dysfunction. Haven't read Karl yet, but he had me nearly spilling my coffee a few times laughing so hard while listening to some of the Gervais podcasts on my drive to work. Right now I'm reading Patti Smith's "Just Kids" based on Sean's recommendation, and I am utterly captivated by it. I really do admire Hornby's writing, Matthew. He really does make meaningful observations in a very readable manner. 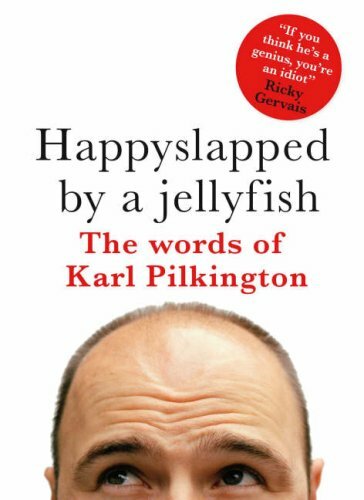 I found myself snorting and guffawing loudly while reading Karl Pilkington's book. He has such a delightfully bizarre take on life. I loved Just Kids as well! Sean is fast becoming Patti Smith's best publicist. I read How To Be Good when I was about 15, and I remember being bored senseless by it. Your review makes me want to pick it up and have another go at it - age and time may have changed a few things. And Karl is a boss! Thanks for the heads up about the travel book. Do you enjoy other Nick Hornby novels, BAP? If so, I would encourage you to give this one another go. And yes, Karl is a total boss!